"Don't join a gym. They're overpriced and you'll just end up cancelling your membership after a couple months." So the old saw goes, revived every New Years to discourage people from investing money in their health. But science says "wait a second" to this injunction. According to new research, signing a gym contract might be one of the best things you can do to maintain your health and fitness resolutions, both physically and psychologically. The benefits of joining a gym are apparently far more significant and dramatic than we previously thought. The study, conducted by Iowa State University, demonstrates that gym members both exercise more often and have better cardiovascular health gains than people who exercised outside of a gym. And the results improved for people who belonged to a gym for a year or longer. The study, headed by professor Duck-Chul Lee, was recently published in the journal PLOS ONE. Says Lee, "It's not surprising that people with a gym membership work out more, but the difference in our results is pretty dramatic. Gym members were 14 times more aerobically active than non-members and 10 times more likely to meet muscle-strengthening guidelines, regardless of their age and weight." The benefits of joining a gym are equal for both men and women. The World Health Organization suggests that every adult human get at least 150 minutes of moderate exercise or 75 minutes of moderate exercise every week. It is also recommended that you get two sessions of weight lifting or other strength training exercise per week. Only about 50% of all Americans are fulfilling their cardiovascular exercise quotients, and only 20% are doing weekly strength training. However, the study shows that about 3/4 of all gym members meet those requirements. And most of them went well above those base standards. The average cardio for a week was 300 minutes per week, which was a full six hours longer than non-gym members. 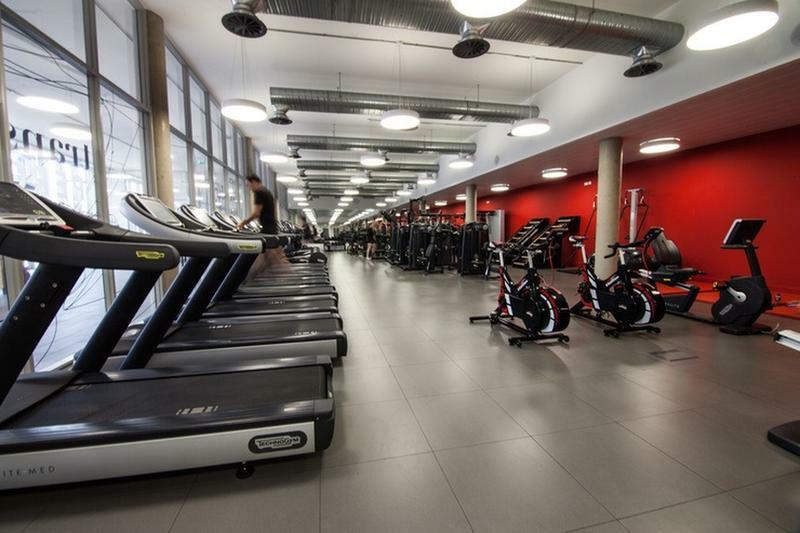 The research found that belonging to a health club leads to less chance of developing obesity, smaller waists, a lower resting heart rate and greatly improved cardiovascular and respiratory fitness. According to Elizabeth Schroeder, one of the researchers, "Cardiovascular disease is the leading cause of death for individuals in the U.S. As our paper shows, a health club membership is associated with more favorable cardiovascular health. I hope the results help people be more active, potentially at a health club where they can easily perform resistance exercise, and see that exercise may help prevent cardiovascular disease." Strength training also builds, as we all know, muscle mass. Increased muscle mass leads to more energy being burned and a reduced risk of obesity. Warren Franke, another of the study's authors, says, "By joining a quality fitness facility, a new exerciser will be around like-minded people and have access to professionals who can help them be successful. Access to quality exercise equipment, social support and even the financial commitment may help someone to continue exercising. Not all facilities are the same, so it's important to find the 'right' fit." The benefits of joining a gym are almost too many to name. If you're looking for a way to improve your health, this might be the nod you needed in the right direction.